This summer’s drought may make vegetables scarce and expensive until next year. 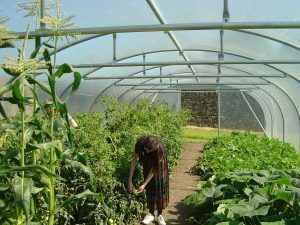 Plan now to maximise the cropping potential of your tunnel or glasshouse and to leave no square metre unproductive over the winter. It is too late to sow spring cabbage seed outdoors for planting out in the autumn, but raising plants in your greenhouse now may bring on seedlings faster and have them big enough to plant out on time. If you do, harden them off before planting out and protect them from hungry pigeons. Alternatively, plant them in the greenhouse for an earlier crop. Plant single seed potatoes in large pots now, and they should still have time to mature before midwinter. Beetroot, white turnips and kohl rabi will produce small but tasty roots, and you can eat their young leaves too. 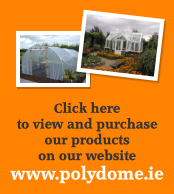 Rocket, oriental greens such as Pak Choi, kale, winter lettuce, corn salad, Texel greens and winter purslane can be sown in succession for salads. Calabrese, French beans and Florence fennel can all yield well in greenhouses from August sowings if the early winter is not too cold. If your greenhouse is full already, bring on seedlings in cell-trays and then small pots until planting room becomes available. You can sow radishes, baby leaf greens and other short-term crops between rows of slower growing crops, as they will be harvested before the space is needed. You can still have your five a day!